If it's April, it must be town meeting time, and no one knows what that means better than Everett Poole. 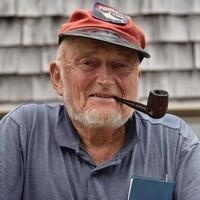 Mr. Poole has presided over Chilmark's town meeting for more than 40 years. Part master of ceremonies, part enforcer of rules, the job of moderator requires a deep familiarity with the community, knowledge of parliamentary procedure and an innate understanding of when to let people talk and when to cut off debate. Did someone add "sense of humor?" As to that, Mr. Poole can speak for himself. Join us to hear Mr. Poole talk about the job of moderator as Tuesdays in the Newsroom returns.